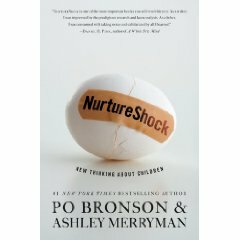 Po Bronson has written many books on parenting, including NurtureShock: New Thinking About Children. You’ve written books on parenting, including NurtureShock: New Thinking About Children. What is the one thing you think parents should know about your work? That it’s a fun, fascinating read – if you did a map of all the parenting manuals on one dimension, and all the daddy memoirs on another dimension, our book would need a third dimension to be accurately mapped. It shares almost no qualities with those typical categories of parenting books. Scientifically, there’s data on fathers, certainly. But as the role of fathers is morphing, and becoming less distinguished from the role of mothers, the specialized roles fathers play in child development is evaporating. We looked into a special chapter on the Science of Fathers, but felt like the story was changing too fast. Ultimately, our book is about parents – and only breaks apart mothers and fathers a few times. Have a relationship with their children that’s honest, not strategic or manipulative. Inconsistent discipline. Inconsistent expectations. Inconsistency in general is the plague of otherwise wonderful, well-meaning progressive fathers. I hear that comment all the time from readers, but in my family that regret would have been my father’s father – and then my father changed the pattern. I was blessed with a father who left work early every day to be with me or one of my two brothers. He took us on trips, took us camping, boating, coached my brothers’ teams … he set an example that is hard to repeat, honestly. But I’m trying. Non-recurring hardship is beneficial if it’s worked through, positively, with children and parents together. But just as often – or more often – it’s not worked through, and it causes children lasting fears. Unlike many, I don’t romanticize the lives of children who have to endure consistent hardship. Having written the seminal article debunking the self-esteem movement and showing how praise is overused, I think people know it’s not a storehouse of good feelings that results. Kids do need to feel they can come to their parents for genuine help.